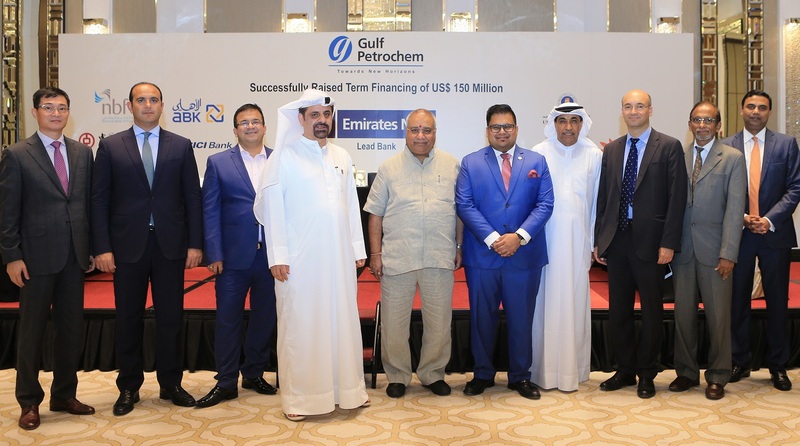 Gulf Petrochem Group (GP), has successfully raised US$ 150 million from a group of international and local financial institutions based in the GCC. In an environment of continued low global oil prices, the financing will be used to support the group’s activities around the world. A signing ceremony took place with high level representatives from the syndicate banks and GP’s Group Managing Director Sudhir Goyel along with senior executives from GP in attendance. Speaking about the deal, GP’s Group Director, Prerit Goel said: “Amidst current market conditions it is a testament to our operations and business plans that we were able to raise this amount of capital. The banks involved have all expressed their admiration of our robust growth plans. As a group, we are determined to stay the course and to deliver on our long-term strategic ambitions.” He went on to add, “Following the closure of this raise, we are currently studying to tap the capital markets with a strong focus on the Islamic finance and Sukuk market in Asia particularly, Malaysia and Indonesia.